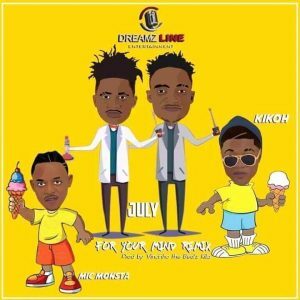 Afro-pop / Hip hop duo July just unveiled the remix of their highly acclaimed tune “For your mind” featuring Kikoh and Mic Monsta. The Dreamz Line prolific duo display irresistible creativity and lyrical savvy on this one. Definitely a propitious hit in 2018. Visuals by Mosima P .